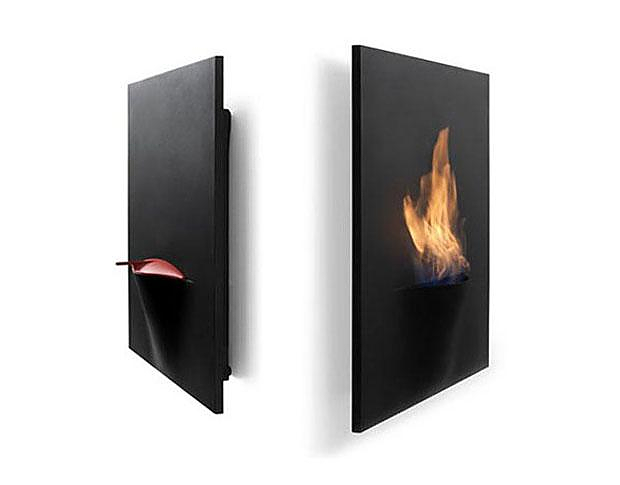 Safretti Gaya bio-ethanol fireplace, a painting on your wall. 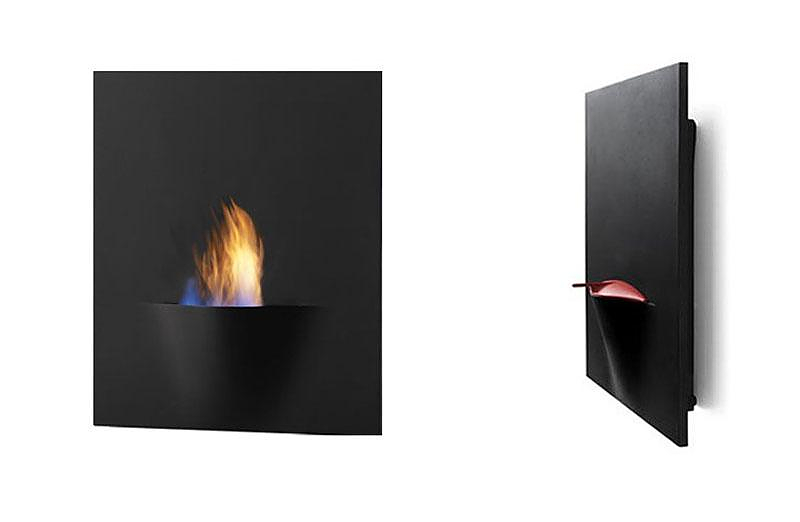 HomeBlogHome DecorThe Safretti Gaya bio-ethanol fireplace appears like a painting on the wall. 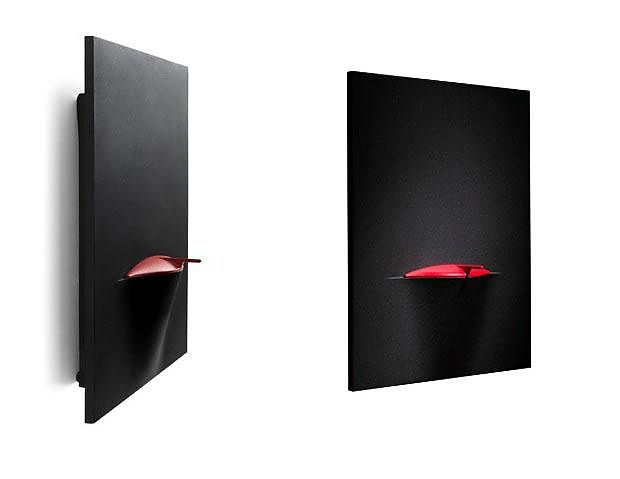 Gaya is the latest wall mounted bio-ethanol fireplace by Safretti. 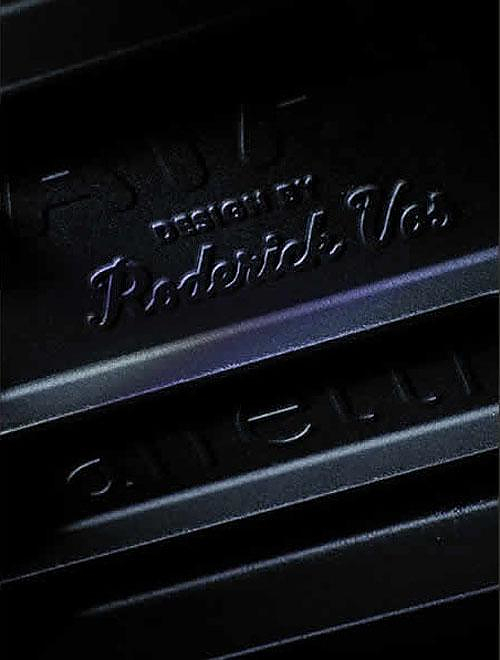 It was designed by Dutch designer Roderick Vos and has a unique super-sleek design. At first sight it does not appear as a fireplace but rather like a painting on the wall. When the Gaya is lightened up it resembles a live painting where the fireplace is the canvas and the dancing fire the main theme. However even when the Gaya is not being used, it is still a stunning looking object and an artistic interior design element. 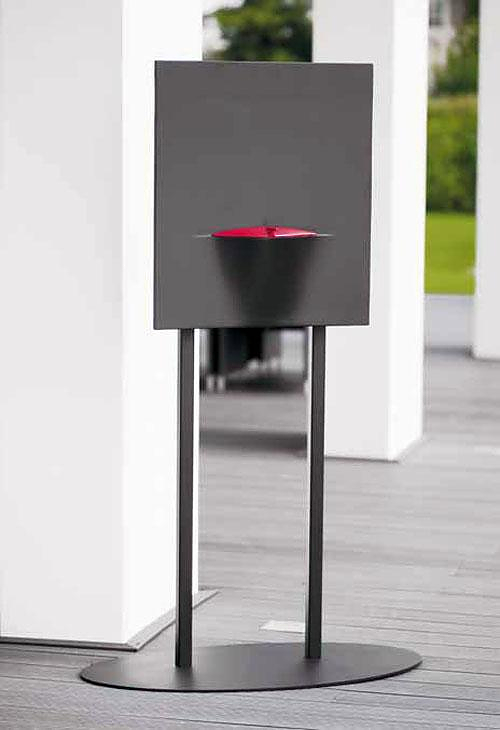 The distinguishing aspect of the Gaya is its utterly minimalist design. 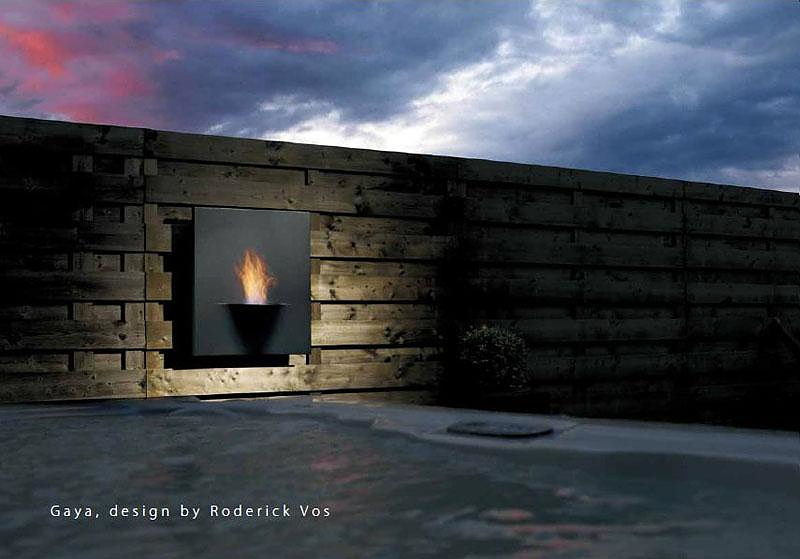 Roderick Vos removed everything unnecessary, thus creating a “pure” form there the black color of the fireplace becomes the ideal background for the magnificent and dynamic shape of flame. 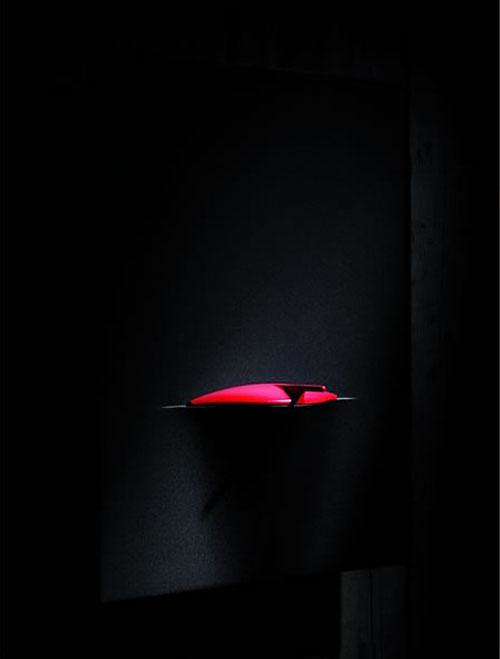 The finishing touch that completes the stylish geometric design is the red cover of the combustion chamber, which makes the Gaya equally impressive even when it is not lit up. It can be placed in any room, as it uses liquid fuel, which does not produce smoke but only flame so there is no need for a chimney. 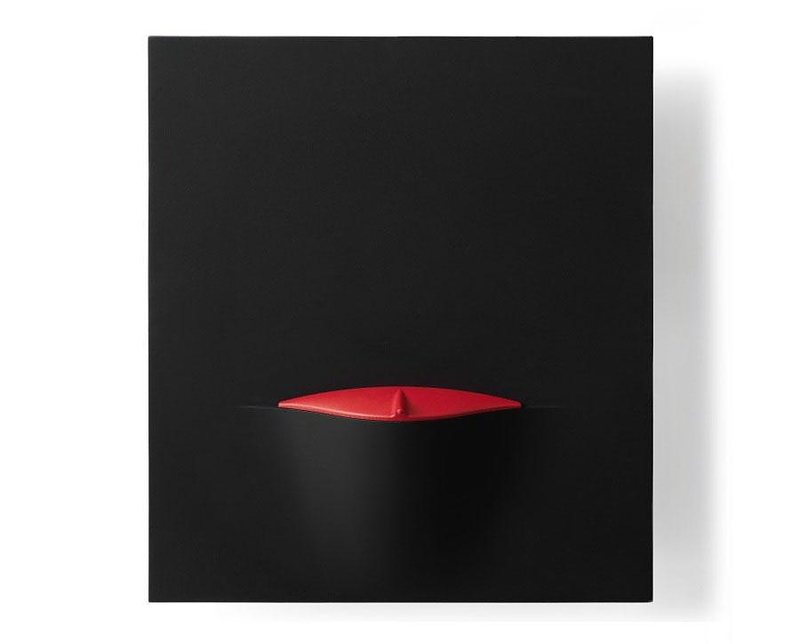 The Safretti Gaya is a GOOD DESIGN award winner. The fireplaces which use liquid fuels such as bio-ethanol offer great installation flexibility because they do not need a chimney, they can be manufactured in small sizes and impressive shapes, they do not smell like something is burning and do not require storing firewood. Bio-ethanol, unlike alcohol, does not produce an icy blue flame, but a warm yellow-orange flame which resembles the flame of wood. The Safretti Gaya has a 2.3 liter fuel capacity, sufficient to keep the fireplace lit for 8-10 hours. 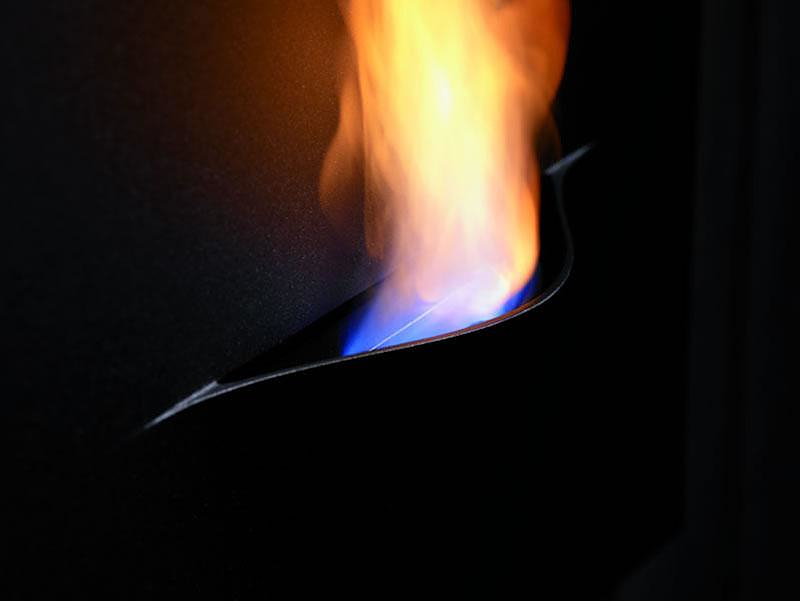 Of course bio-ethanol fireplaces despite their many advantages have also some disadvantages. They do not produce the same intense heat that traditional wood fireplaces produce. They generate some heat, as the burning of the liquid releases energy, but they are not recommended for heating purposes. Moreover you cannot simply cut and burn wood, as you would do in your cottage house and you should always buy the fuel which is recommended by the manufacturer. Finally, for those of you, who want to cook in the fireplace, they are certainly inappropriate. 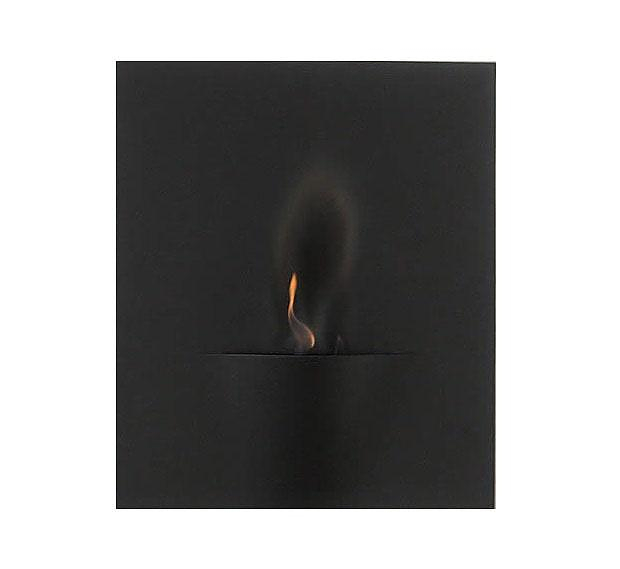 In the end of the day the Safretti Gaya is not a fireplace in a literal sense, it is more like a contemporary work of art that uses the warmth of the flame as its dominant element.